I love meatloaf, and my husband hates it. We have this thing where we are opposite in so many ways. Things that I love, he hates. Things that he loves, I hate. Well, the craving monster struck again and I had to have meatloaf. Now, I know boxed stuffing is not the healthiest option. 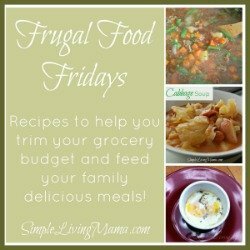 It was one of those things that my husband loved and I used to make it a lot at the beginning of our marriage when I was still learning how to cook. The idea of stuffing meatloaf sounded pretty good. Maybe it would convince my man to eat meatloaf. The prep for the stuffing meatloaf was incredibly easy. All you need to make this meatloaf is 1 lb. ground beef, 1 box stuffing mix, 1 egg, 1/2 cup water, some salt and pepper, and some ketchup. I didn’t even have to get my hands dirty to mix up this meatloaf. I used a big gallon sized ziplock bag, threw all of the ingredients in, zipped it up, and mashed it all together. I preheated the oven to 350, then shaped the meat into a loaf in a glass baking dish. I baked it for 30 minutes, then added ketchup to the top, then baked for another 30 minutes. Luke actually ate two pieces of this stuff. The key was that it was a little drier than most meatloaves. He’s not a big fan of moist meatloaf, I guess, ha! I served this up with homemade garlic mashed potatoes and green beans. It was a super easy meat and potatoes meal and I was pretty glad everyone in the house enjoyed it! 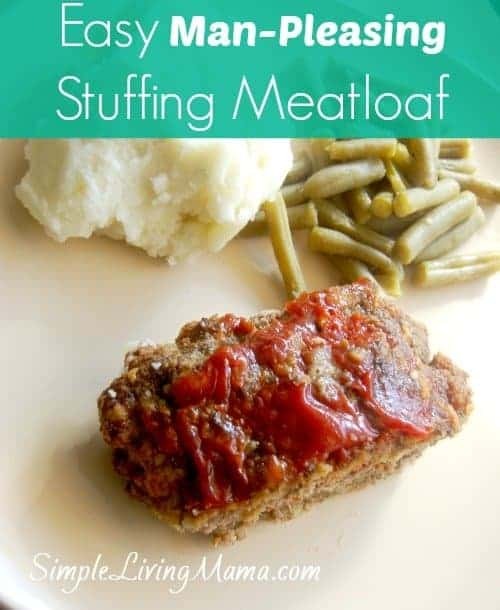 An easy and delicious meatloaf made with boxed stuffing mix. Mix all ingredients except ketchup and form a loaf. Place meatloaf in glass baking dish. Remove meatloaf from oven and coat top with ketchup. Place meatloaf back into oven and bake for another 30 minutes.